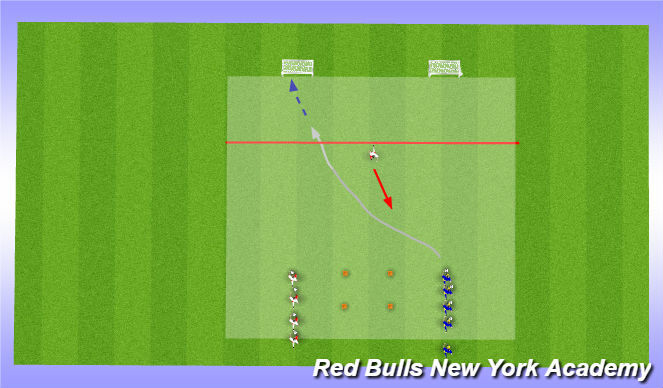 Attacker to dribble inside the next square and set the ball for next player to dribble(stop the ball dead) once attackers sets the ball he must run around outside cone and attempt to beat player in possession by getting inside the other box(recover) before attacker dribbles his ball in it. Each corner repeat the same. 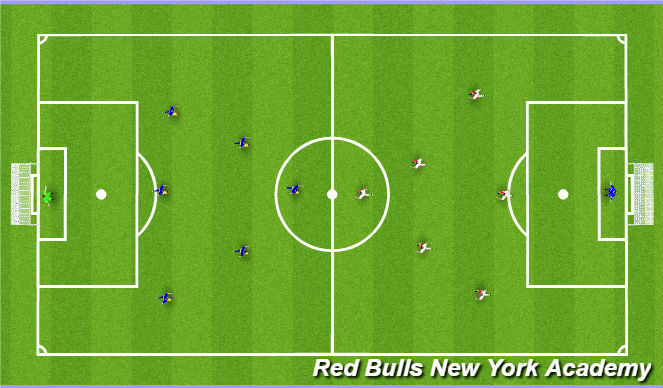 blue aim to get from their starting point to the goal on the left (diagonal) and yellow score the opposite side goal. Yellow player starts as defender and tries to prevent the blue player to score the goal. 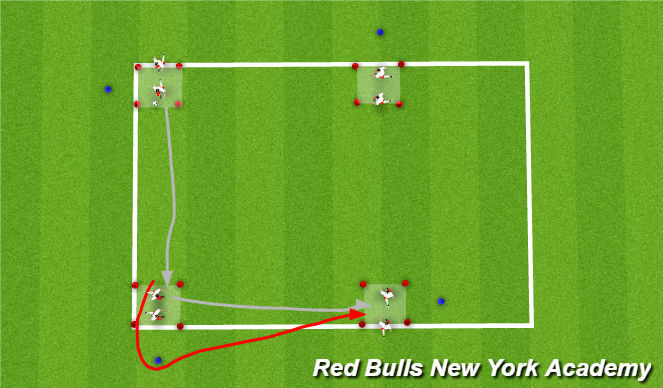 You can only shoot on goal withing the shooting zone marked with red. Count points as a team or individually. 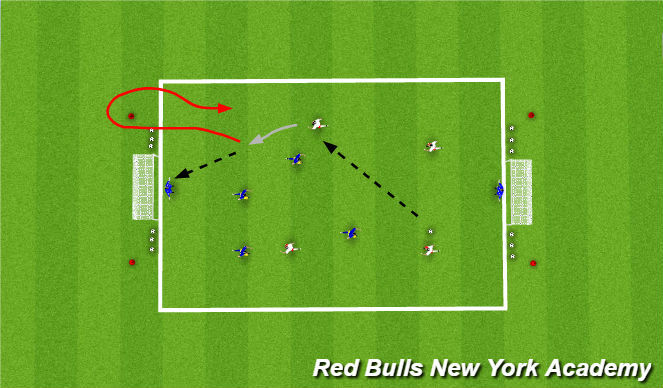 After player in possession takes a shot on goal he must run around one of the 2 outside cones before he can come back in the game(recovery run). play 3 - 4 min game.